Succeeding in business, especially as a spiritual entrepreneur requires a belief in yourself, your products, services and the value you bring in addition to taking action. Join us this week as Business Consultant and Spiritual Advisor, Ask Sharifah, shares her 20+ years of business wisdom, experience and intuition to help you market and grow yourself and your business. 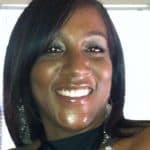 Sharifah Hardie, also known as Ask Sharifah is a business consultant and spiritual advisor, located in Long Beach California. In addition to consulting and advising business owners, she is also a motivational speaker, radio host and tarot card teacher. She has worked with clients in the areas of business and spirituality for over 20 years and is a third-generation intuitive reader. Sharifah is known for being understanding and easy to talk to and because of her varied life experiences she provides practical, non-judgmental help on just about any subject – aka Ask Sharifah. Sharifah works with business owners and entrepreneurs on topics including marketing, public relations and media, as well as providing intuitive readings and teaching the tarot. In short, she is able to advise clients on business, career, love, finances, family, spirituality and many other topics.